Giant Ironweed (Vernonia gigantea) is a gorgeous New York state native species plant that’s listed as endangered and rare in New York, and is noteably difficult to find for sale, even at specialty native plant nurseries. 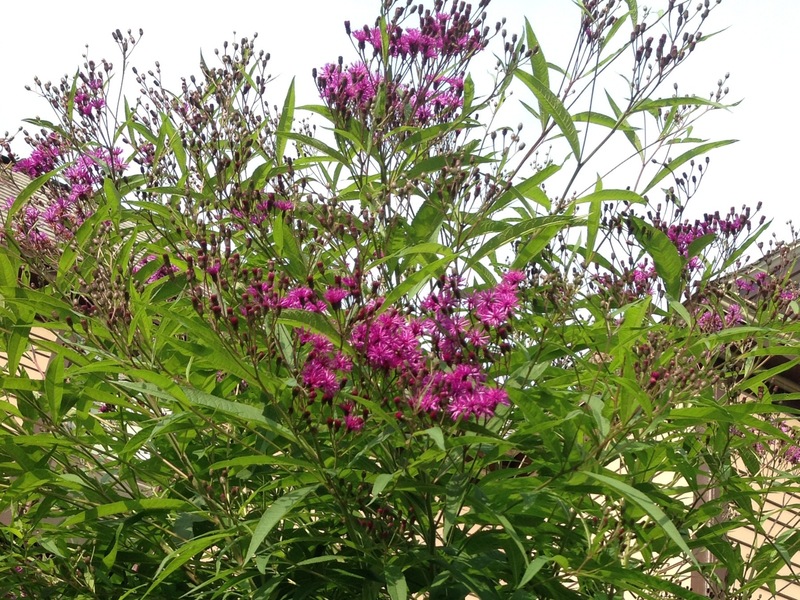 NY Ironweed (Vernonia noveboracensis) is another native Ironweed species that’s easier to locate at nurseries. 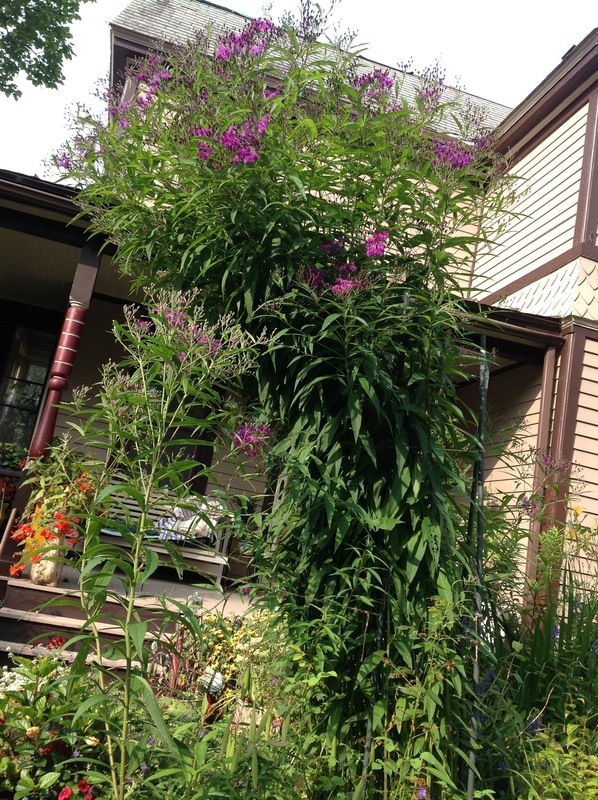 Both Giant Ironweed and NY Ironweed are both excellent replacements for non-native, invasive Butterfly Bush (Buddleia)- the Vernonia species are butterfly magnets that outshine Buddleia as a source of nectar for butterflies and other pollinators. Giant Ironweed often grows to 13′ in height, so it may not be ideal for all garden sites. But where there’s space for it, Giant Ironweed definitely shines as a rare beauty in Saratoga gardens.